CodePush provides Cordova and React Native developers with multiple options to configure the end users update experience. 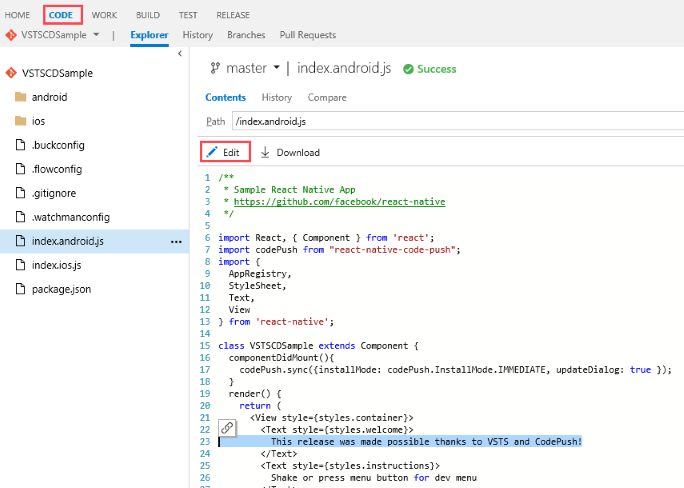 This tutorial covers three potential "update modes" or deployment strategies for CodePush updates: Silent, Active and Custom. Leveraging these options allow developers to control when (and how often) to check for updates as well as how to present any update notifications to end users. This tutorial does not cover how to enable CodePush on an app. 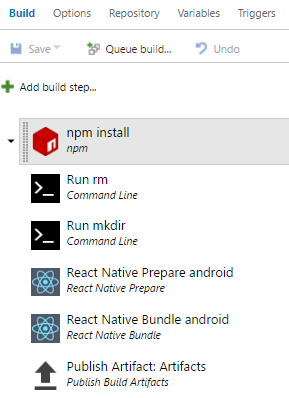 If you need help setting up CodePush, visit the Cordova or React Native "Getting Started" sections. Silent mode updates are the simplest way to update an app and the least invasive experience for the end users. ON_NEXT_RESTART: The update is downloaded but not installed immediately. The new content will be available the next time the application is started. ON_NEXT_RESUME: The update is downloaded but not installed immediately. The new content will be available the next time the application is resumed or restarted, whichever event happens first. If codePush.sync() is not called on app start (e.g. componentDidMount event on React Native or deviceready on Cordova), developers will need to notify the update was successfully installed by calling the codePush.notifyApplicationReady() method. Otherwise the CodePush runtime will assume the installed update has failed and roll back to the previous version. In contrast to the silent mode updates, active mode updates prompt end users about available updates and thus require user interaction. The difference is introduced by the usage of the updateDialog parameter. If an update is available, the app automatically launches a native prompt asking end users for permission to download and install the update. Once the user accepts, the update is silently downloaded and immediately applied, and installed the next time the app is restarted (either explicitly by the end user or by the OS). Visit the Cordova or React Native API Reference pages for a full description of all the avaiable UpdateDialogOptions options. Custom mode provides the flexibility to customize any stage of the update experience such as providing a custom "checking for updates" or "downloading" notification. The codePush.sync() method allows the use of a call back to hook into the overall update process and thus provide a custom experience on each stage of the update process as follows. Visit the Cordova or React Native SyncStatus enum for a full description of all the available enum values. To provide an enhanced experience, developers can choose to provide a download progress indicator. The codePush.sync() method provides a different call back to make this possible. Continuous Integration (CI) and Continuous Deployment (CD) are key practices of DevOps. It requires the team to have a mindset to merge all working copies of developers’ code with a shared repository, producing a new build upon code commit. In turn this provides them with the opportunity to leverage the CI output, deploy it to one or more environments, and ultimately serve the end users via app updates. 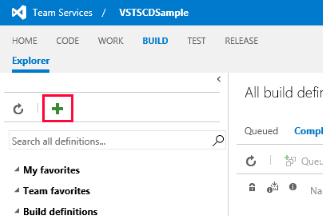 This tutorial covers how to leverage Azure DevOps (formerly known as Visual Studio Team Services (VSTS)) and CodePush in order to create a CD environment to automate app updates from an existing CI environment. Even though a "proper" CI build not only compiles the code, but ideally runs code analysis, unit (and sometimes even integration) tests and even could package the code, those CI details won’t be discussed but instead go over the basics of CI integration as well as details of how to setup the CD environment. 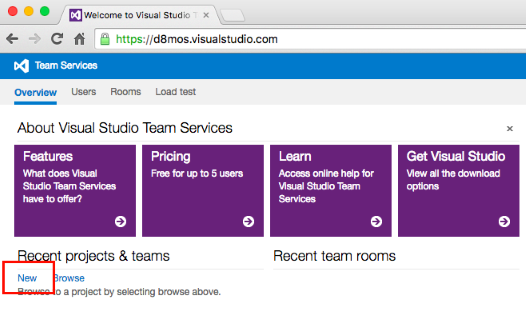 Azure DevOps is a collection of services that let teams share code, track work, and ship software—for any language. 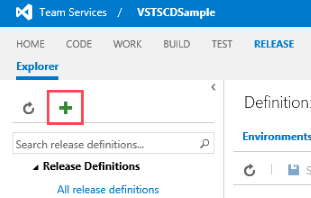 In addition, Azure DevOps allows developers to extend the service by creating Azure DevOps extensions that can help with tasks covering the full CI and CD spectrum. 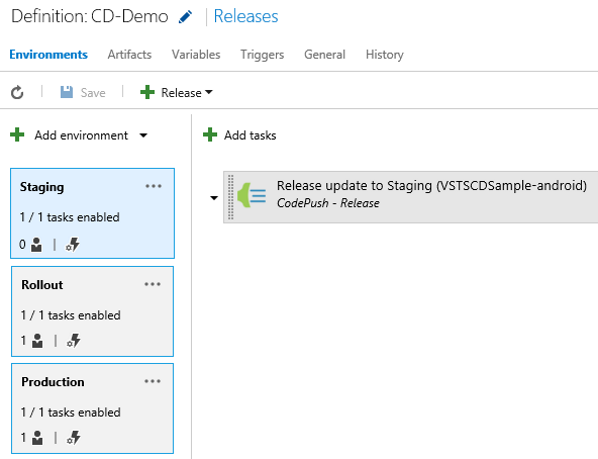 The CodePush service provides a Azure DevOps extension with a set of deployment tasks that allows the automation of releases and the promotion of app updates directly from your CI environment. Leveraging the workflow discussed below can greatly reduce the effort needed to keep your dev/alpha/beta deployments up-to-date, since you can simply push changes to the configured source control branches, and let your automated build take care of the rest. No need to manually release, promote or rollout from the App Center CLI! For simplicity purposes, the steps covered below are done using the Android platform of the React Native sample project above. However, most of the steps also apply for both React Native iOS and Cordova projects. Save the Staging deployment key as it will be used to set up your project. Download the React Native sample project and open the strings.xml file located under the sample app's android > app > src > main > res > values. 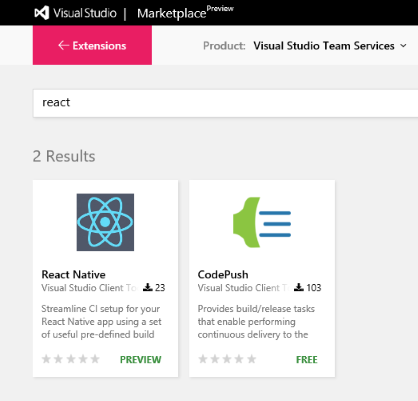 To build the project you will need to install an extension from the Azure DevOps Marketplace. In the upper right corner, click the Basket icon and select Browse Marketplace. In the top menu bar, click BUILD to open the build hub. In the menu on the left, click the green + button to create a new build definition. Select Empty from the list of build templates and click Next. Make sure that the repo settings are correct (it should be the master branch on the VSTSCDSample repo). Check the Continuous integration checkbox and ensure that the Default agent queue is set to Hosted and click Create. 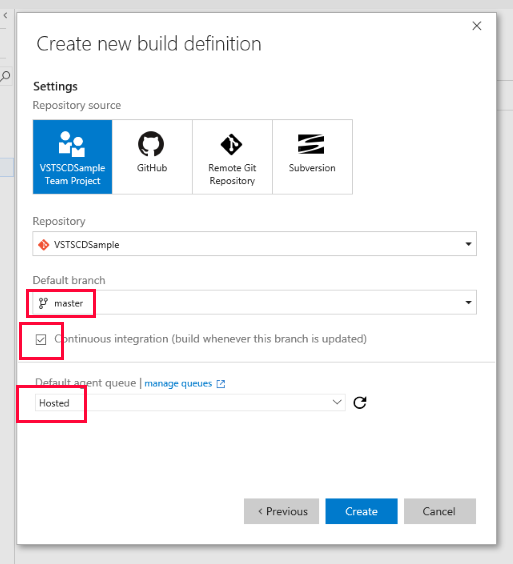 The Continuous Integration trigger tells Azure DevOps to kick-off an instance of this build each time code is pushed to the master branch. As part of the CI build configuration process, you'll add a series of steps that will build the project and publish an artifact (the Android bundle), which the CD environment will use to update the app. Save and name the build definition by pressing the Save toolbar button. You can manually queue a new build to test the build process by pressing the Queue build... toolbar button. The previously set Continuous Integration trigger ensures new builds are automatically queued every time code is pushed to the master branch. As a best practice, we recommend creating three release environments: "Staging", "Rollout" and "Production". This configuration allows you to continuously deploy to "Staging", rollout to a small percentage of production users and finally release to all production users when confidence is high. 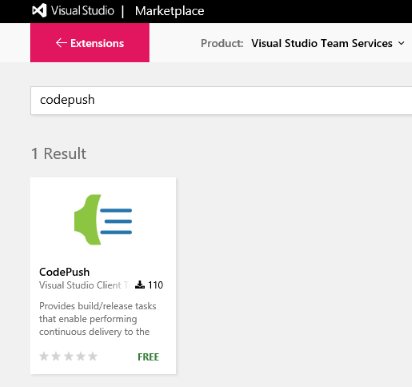 To leverage the CodePush service as the release vehicle, you will need to install another extension from the Azure DevOps Marketplace. In the top menu bar, click RELEASE to open the release hub. In the menu on the left, click the green + button to create a new release definition. 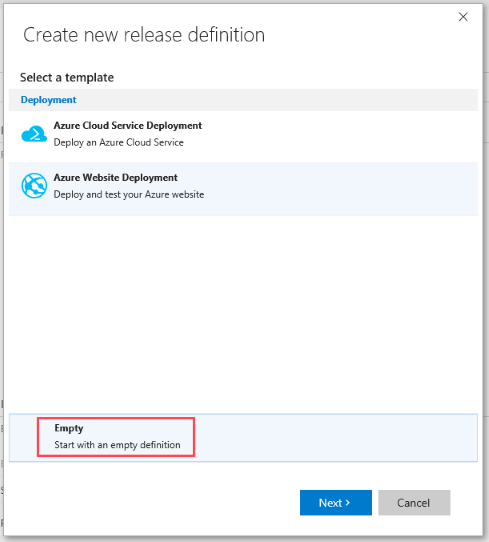 Select Empty from the list of release templates and click Next. Make sure that the project settings are correct (the source should point towards the previously created build definition). 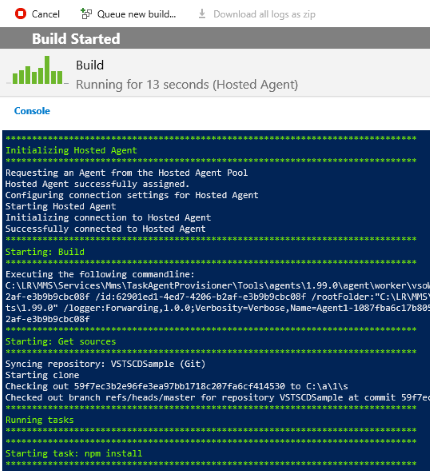 Check the Continuous deployment checkbox and ensure that the agent queue is set to Hosted and click Create. 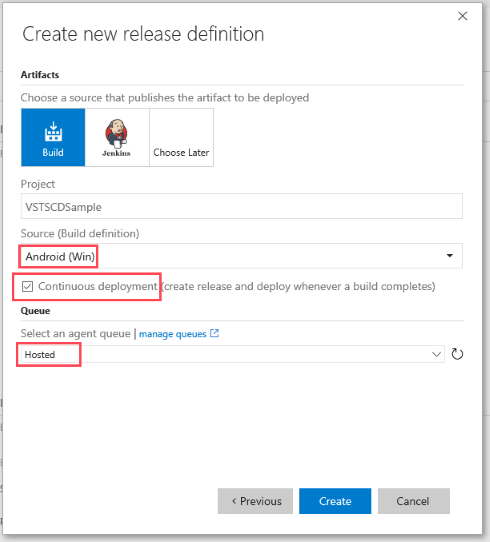 The Continuous deployment trigger tells Azure DevOps to kick-off a release each time a successful build completes. This behavior can be modified to release automatically or after a release is formally approved. For the actual CD tasks, you'll create a staging environment that will release updates via CodePush after every successful build. Followed by two production environments that will initially target a small fixed amount of production users and eventually all production users. Rename the default environment to Staging by clicking on the "Environment 1" label, typing the new name and pressing enter. 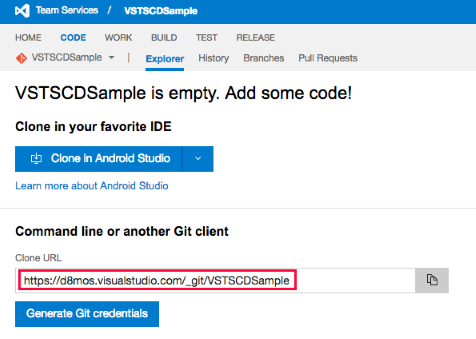 Use the CodePush CLI to create an access key for Azure DevOps by typing appcenter codepush tokens create -d "VSTS integration". Save the key for the next step. Use the browse button to set Update Contents Path to point towards the "Artifacts" folder created during the build process. 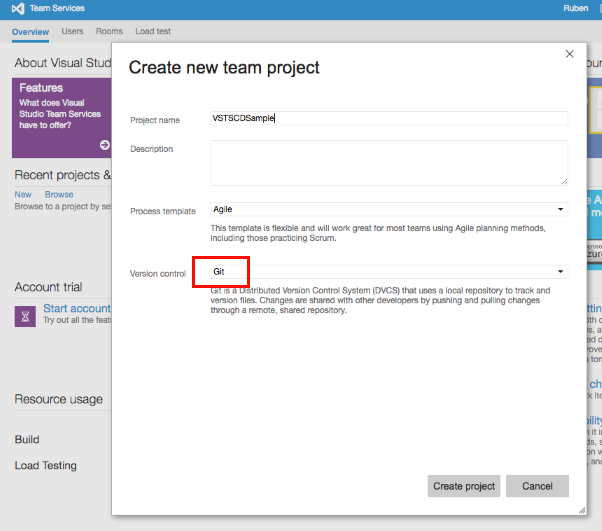 Set Specific users under Pre-deployment approval to control what users decide to approve deployments to the Rollout environment. Select the trigger to ensure this step kicks off automatically after the Staging release completes. Save and name the release definition by pressing the Save toolbar button. Select the trigger to ensure this step kicks off automatically after the Rollout release completes. If you had both Staging and Production users, you could test the full release environment as configured. Since that's not the case for this tutorial, you can focus on testing the Staging environment. To test the automated workflow, you'll need deploy a "release" version of the test app and push a change to the master branch in order to kick off a build and eventually a release. You can create a "release" version of the app by generating a signed APK and installing the release build created with it. Instructions can be found on the React Native docs. Deploy the app per the instructions linked above, do a small code change and commit the change to master. 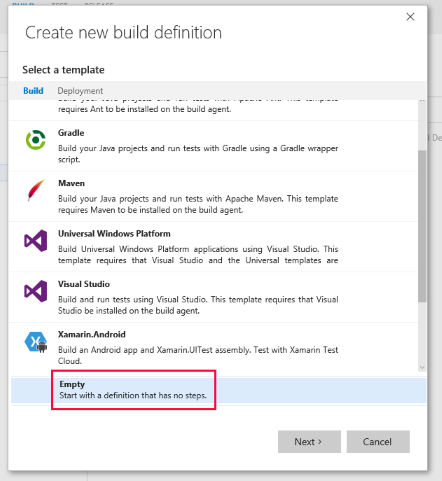 This tutorial shows how Azure DevOps and CodePush make your developer experience better. From a high level, Azure DevOps provides teams with great tools and allows them to fully automate the build and release process while CodePush provides the flexibility to deploy automated updates from Staging to Production.